Indra Budiman, General Manager of Shinta Mani Hotels, is pleased to announce the appointment of Mr Kris Marthin as Corporate Director of Sales & Marketing for the upscale boutique Shinta Mani Hotels Group. Kris is Indonesian and brings a wealth of experience and expertise to his new role. He started his career in sales with the Grand Hyatt Hotel, Bali in 2002 and has held a number of senior roles in the region with Bulgari Hotels & Resorts in Bali, Marriott Regional Asia Pacific office in Hong Kong, The Sanchaya Bintan and Katamama Bali. 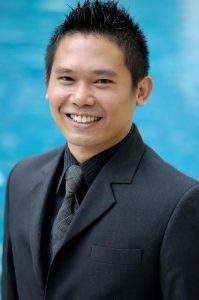 Prior to joining Shinta Mani Hotels, he was Director of Sales & Marketing at The Westin Ubud Resort & Spa Bali. Kris’s strong knowledge and experience in boutique hotel marketing, as well as his ability to speak Japanese fluently will be fully utilized in his new role. Kris shares Shinta Mani’s values behind their culture of Open Doors, Open Hearts and their strong commitment to responsible tourism, as well as the wonderful work done to support the less fortunate in the local community by the Shinta Mani Foundation. “I am delighted to join this exciting and innovative Hotel Company and to work with Indra and the team on their existing hotels and new developments,” said Kris.